Fans of Douglas Adams and P. G. Wodehouse will love visiting Jasper Fforde's Great Britain, circa 1985, when time travel is routine, cloning is a reality (dodos are the resurrected pet of choice), and literature is taken very, very seriously: it’s a bibliophile’s dream. England is a virtual police state where an aunt can get lost (literally) in a Wordsworth poem and forging Byronic verse is a punishable offense. All this is business as usual for Thursday Next, renowned Special Operative in literary detection. 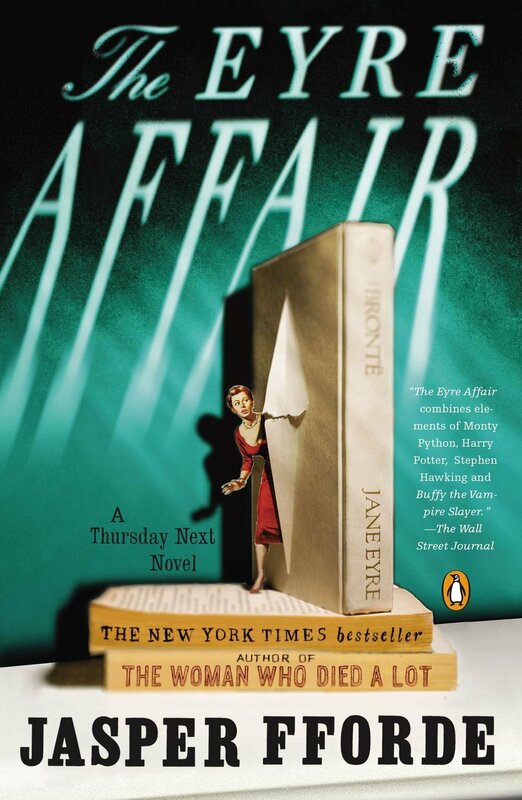 But when someone begins kidnapping characters from works of literature and plucks Jane Eyre from the pages of Brontë's novel, Thursday is faced with the challenge of her career. Fforde's ingenious fantasy—enhanced by a Web site that re-creates the world of the novel—unites intrigue with English literature in a delightfully witty mix. This book was such a delight! I immediately fell for Thursday Next and her motley crew of LiteraTecs, friends, enemies, and family. The characters are all such delights helping the plot to be even more entertaining. The overall world is way too much fun! I love the idea of literature being held to such high regard that people name themselves after various authors and characters. And then you add in the ability to jump into books. Holy moly! I am loving it so much! Way too much fun. I sped through this volume needing to know Hades’s next move and Next’s counter move. I loved visiting Thornfield and meeting Mr. Rochester. Can’t wait to read the next in the series!